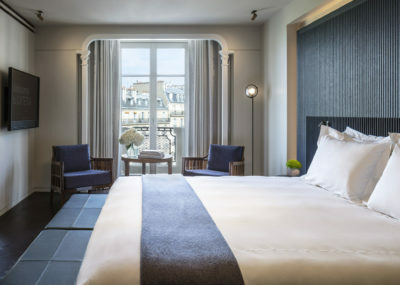 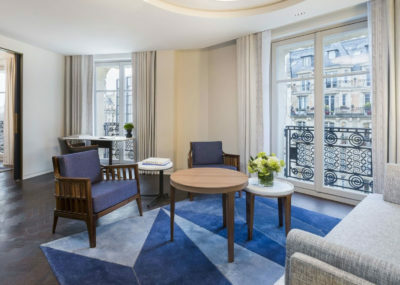 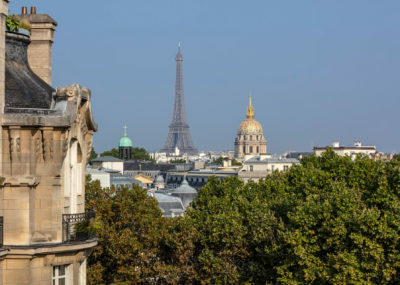 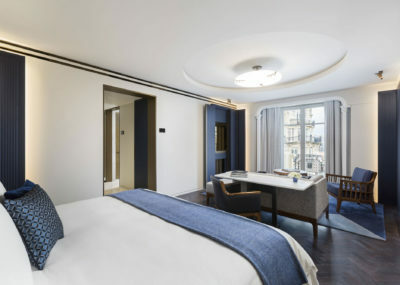 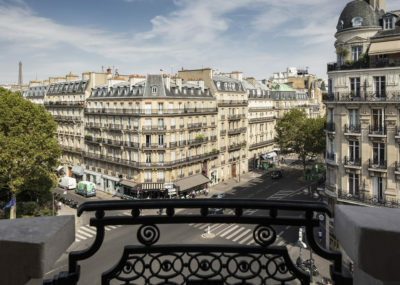 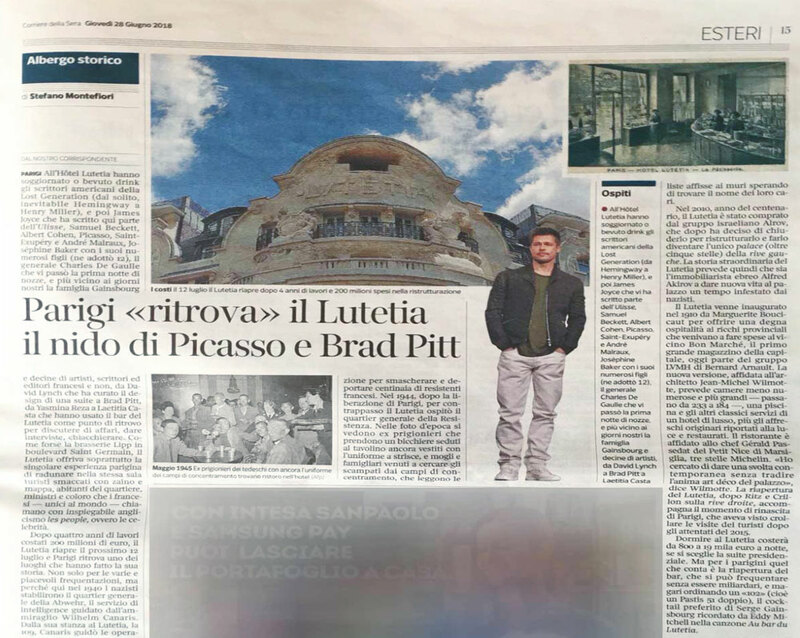 From “Corriere della Sera” newspaper: “Dieci minuti a piedi dall’Hotel Lutetia ci sono la Brasserie Lipp, i caffè Les Deux Magots e Flore, luoghi mito di Parigi con le ombre di Jean-Paul Sartre e Simone de Beauvoir comprese nel conto. 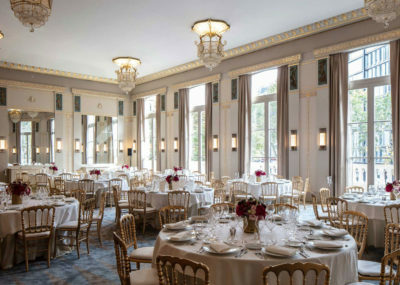 Un giovane ufficiale, Charles de Gaulle, passò nell’albergo la sua prima notte di nozze. 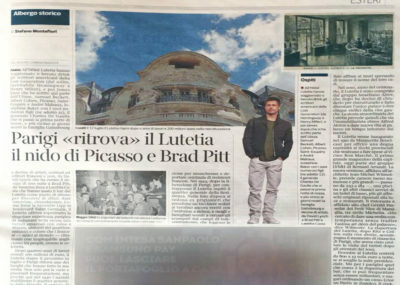 Negli anni 20, uno scavezzacollo americano, Ernst Hemingway, approfittava del dollaro forte per passare le serate al tavolo da biliardo con gli amici della Lost Generation. 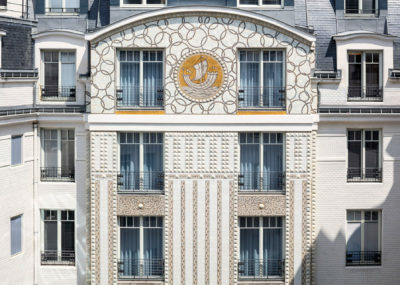 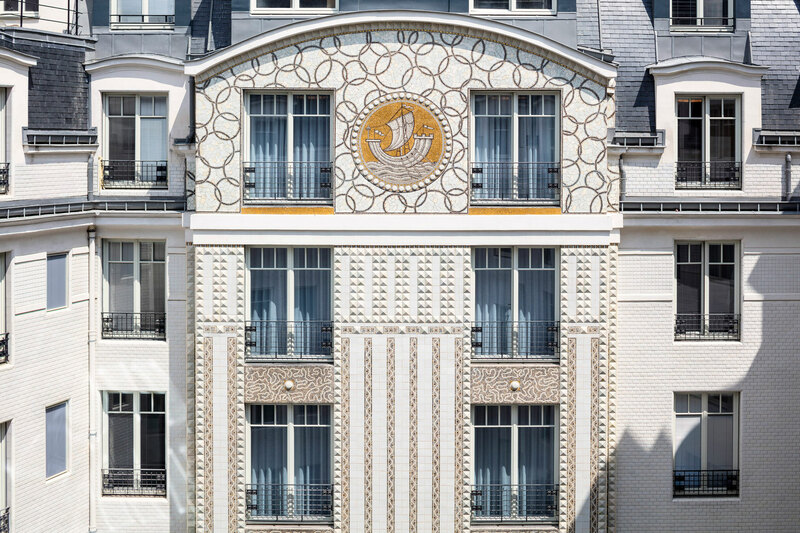 Nel decennio successivo, un promettente scrittore, James Joyce, si rifugiò in questo gioiello Art nouveau e Art déco per sfuggire al gelo del suo appartamento bohémien in rue des Vignes”. 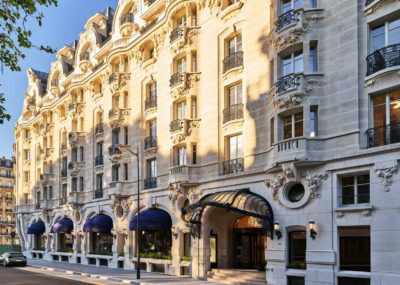 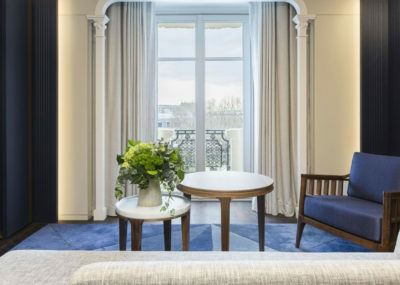 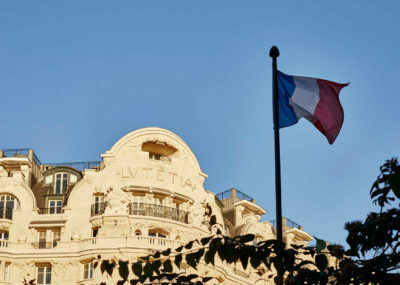 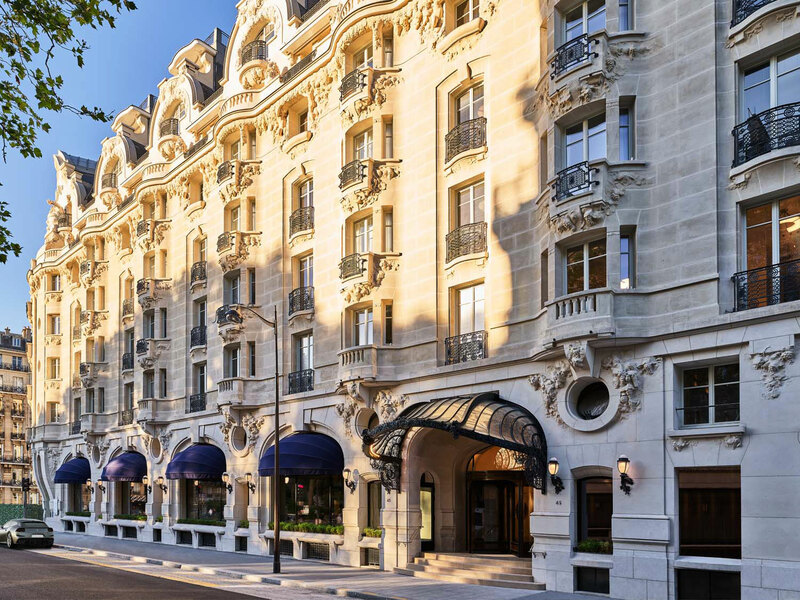 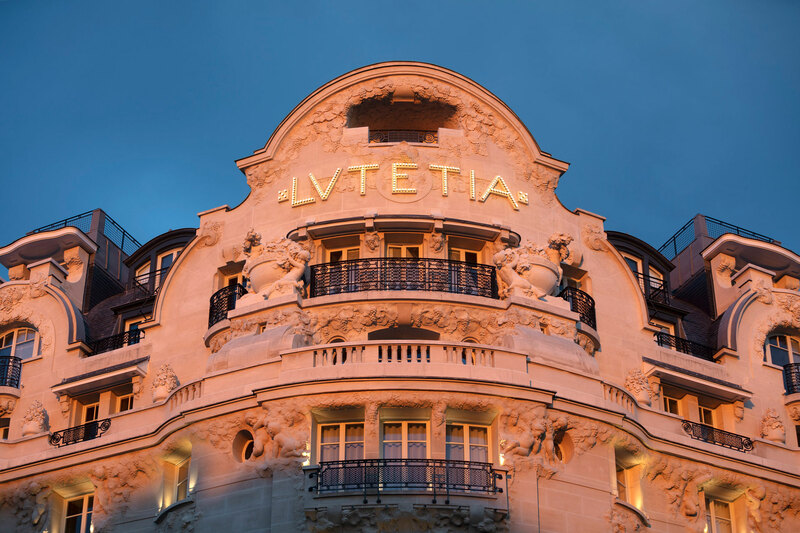 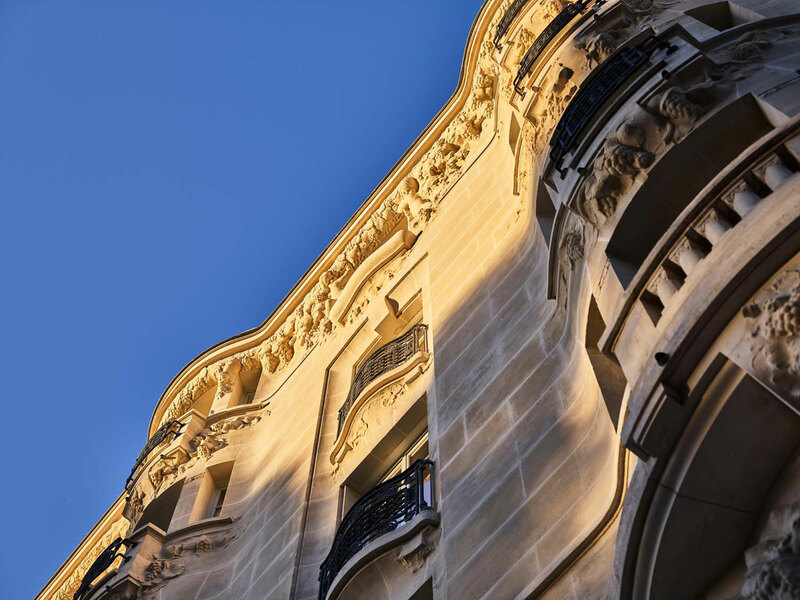 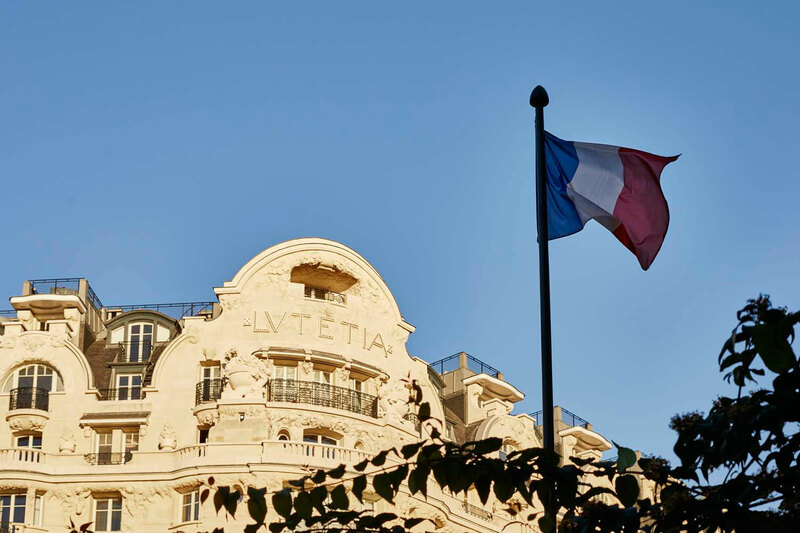 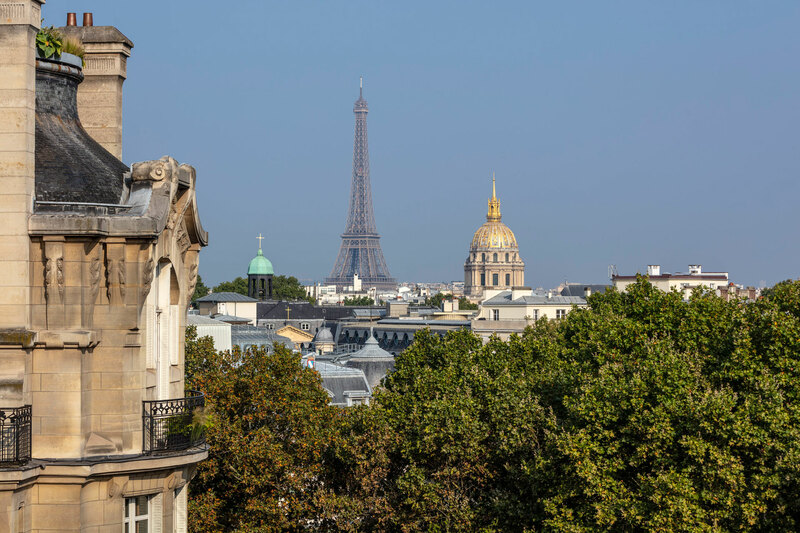 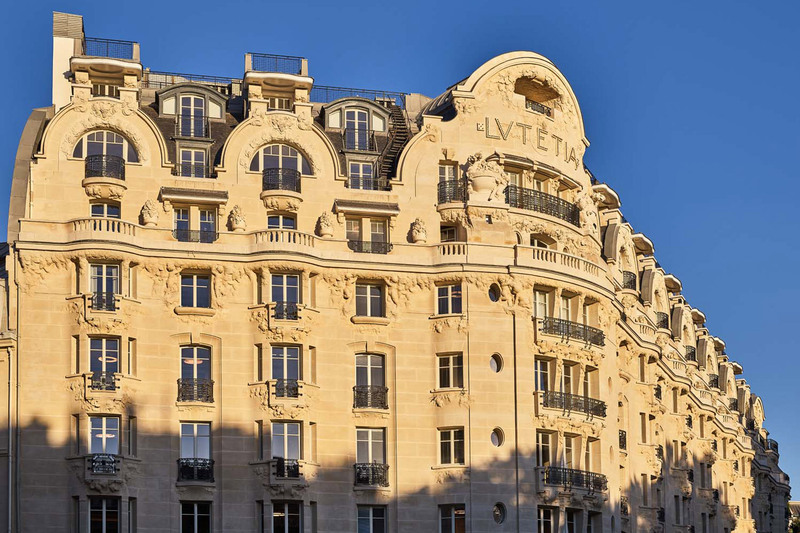 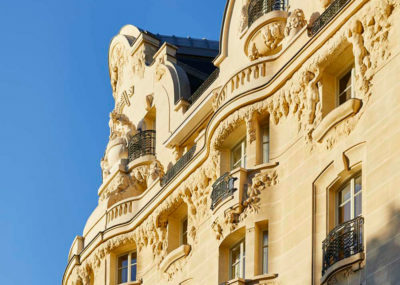 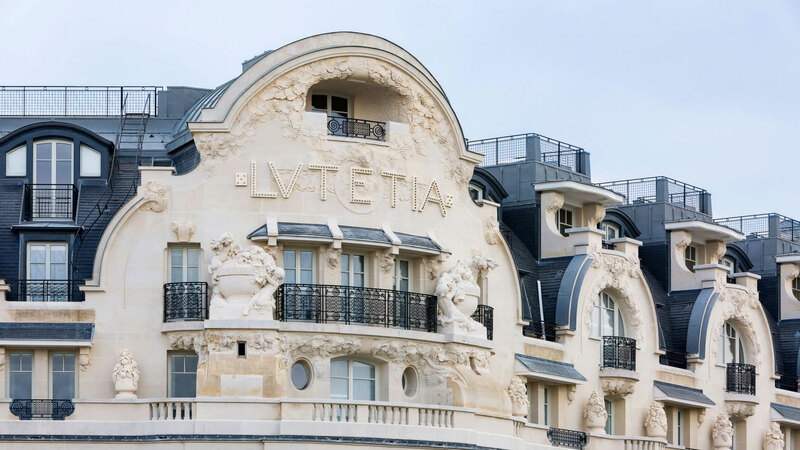 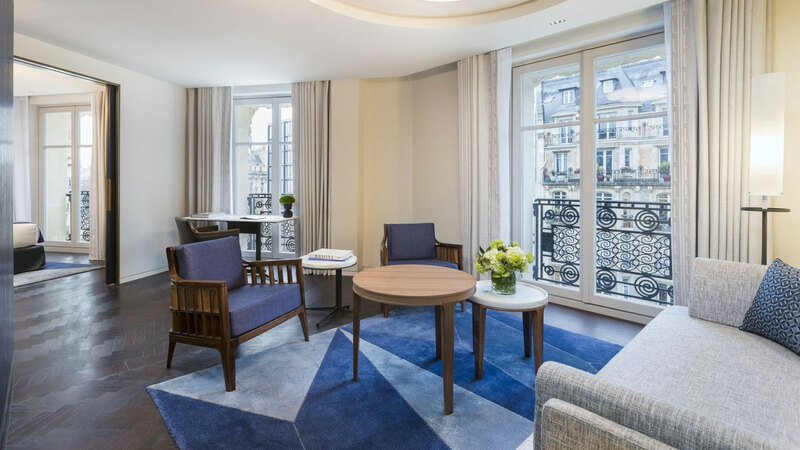 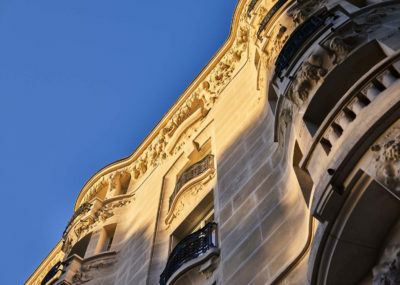 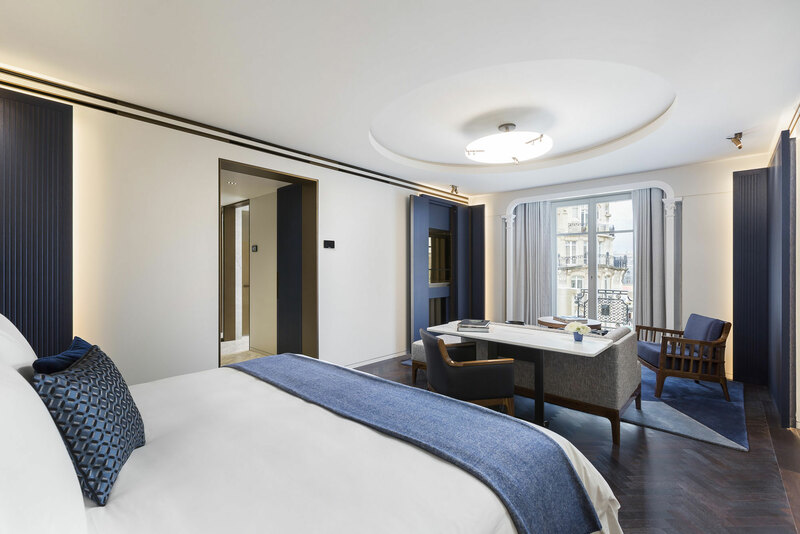 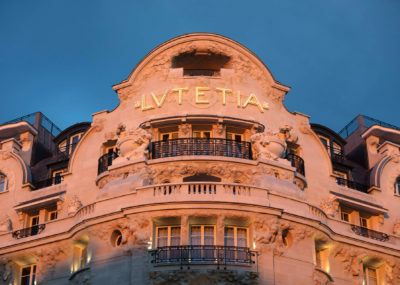 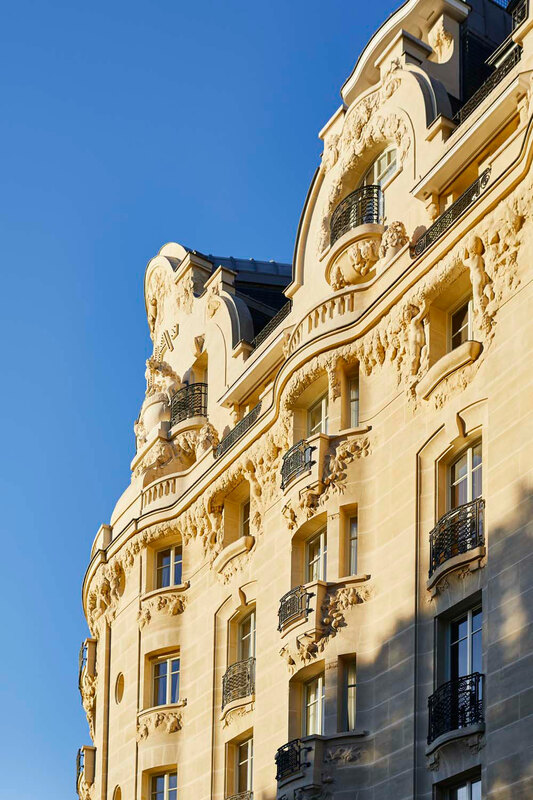 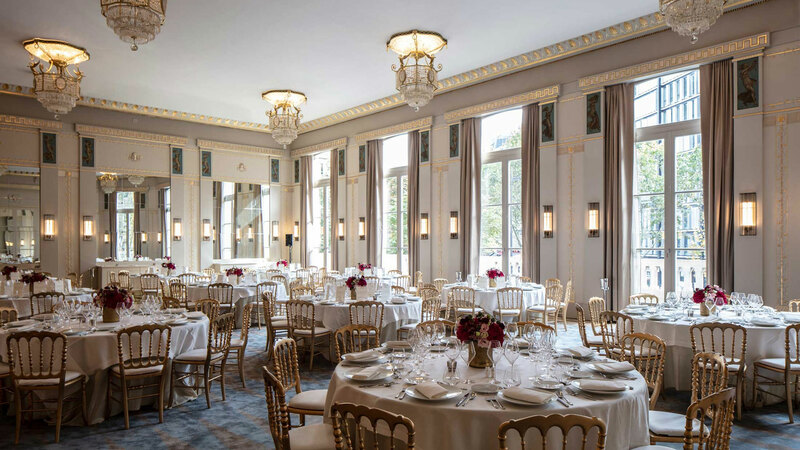 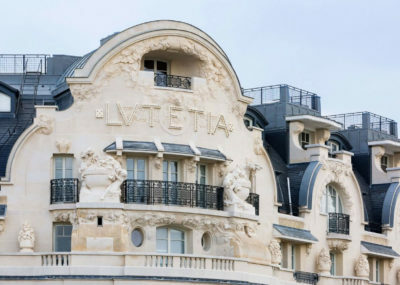 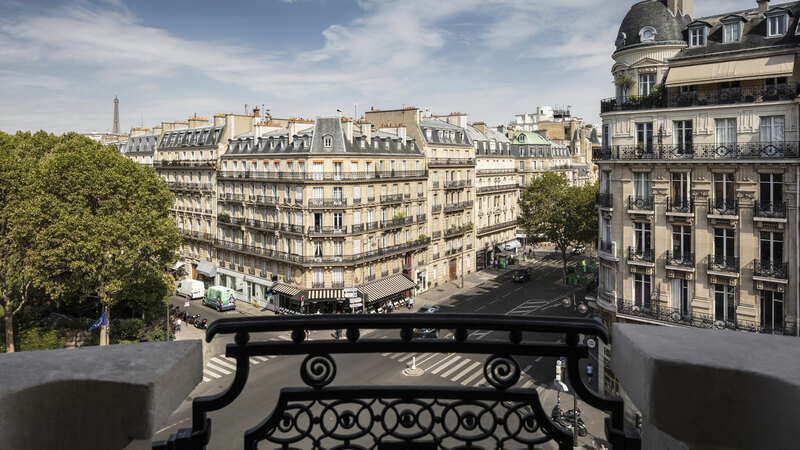 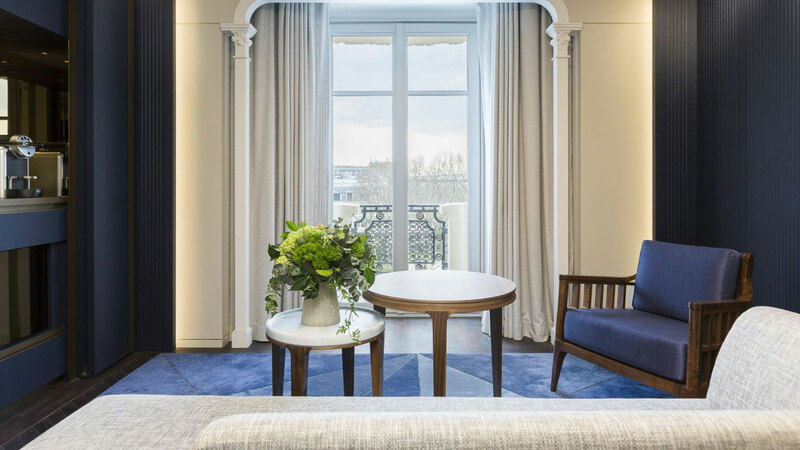 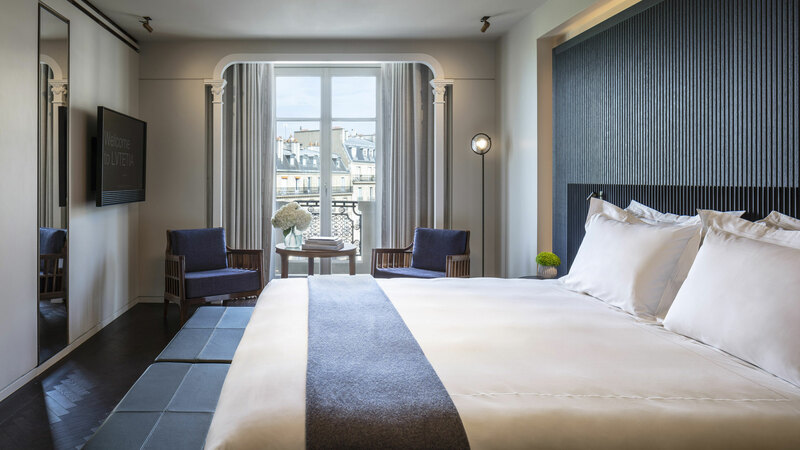 We are proud to have played a part in this re birth project, on such a prestigious and iconic hotel in Europe history, where politics, art, science and philosophy were continually created. 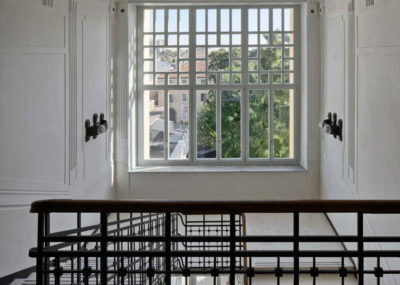 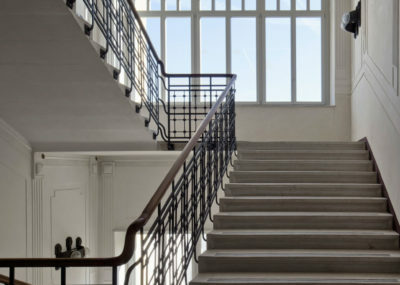 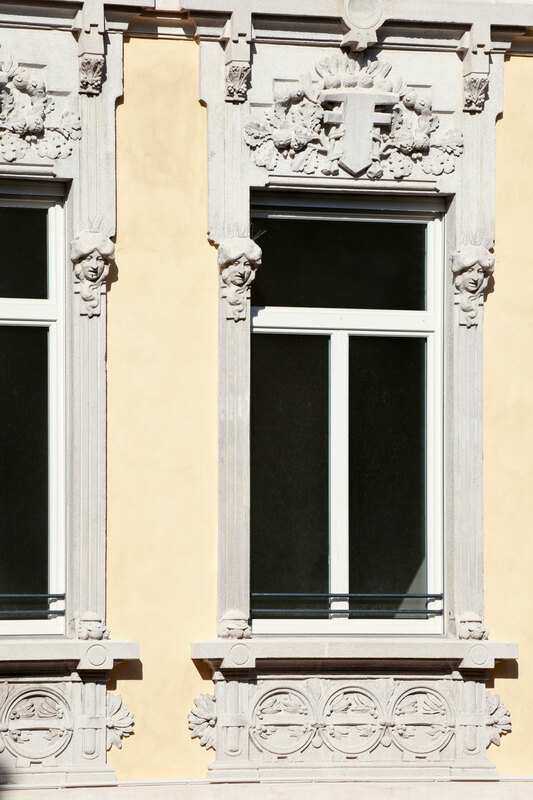 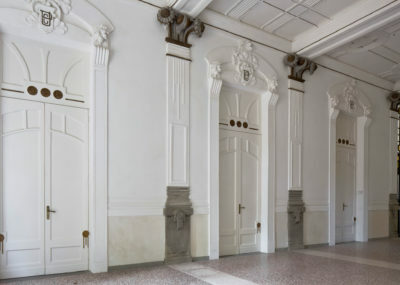 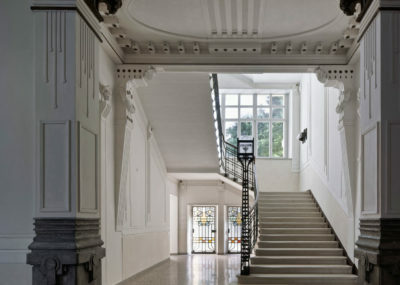 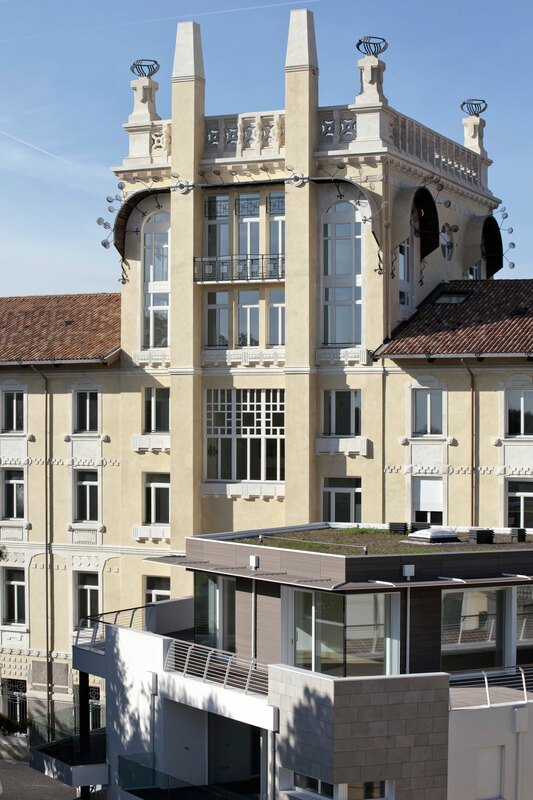 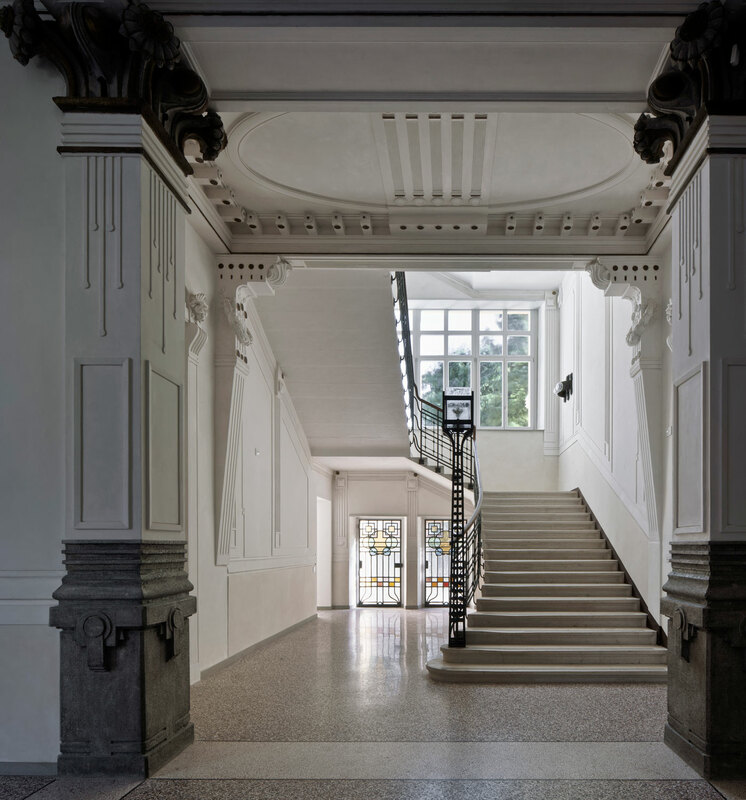 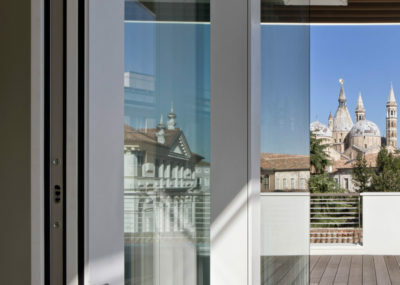  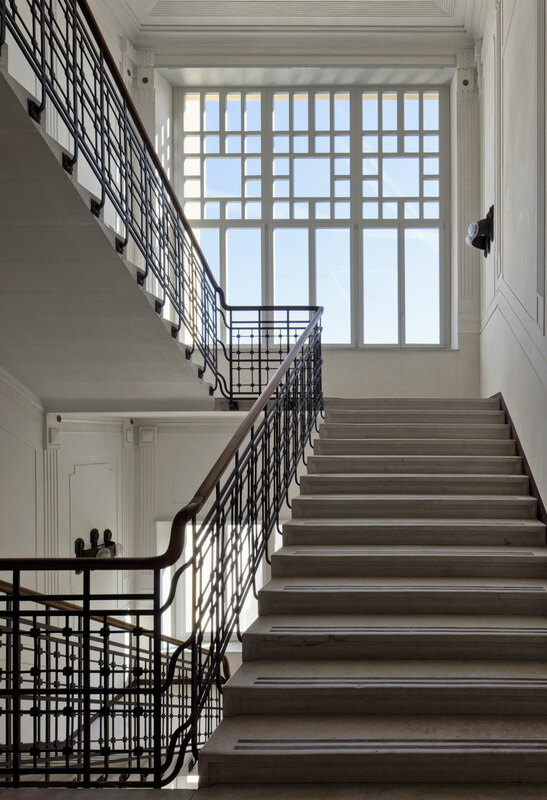 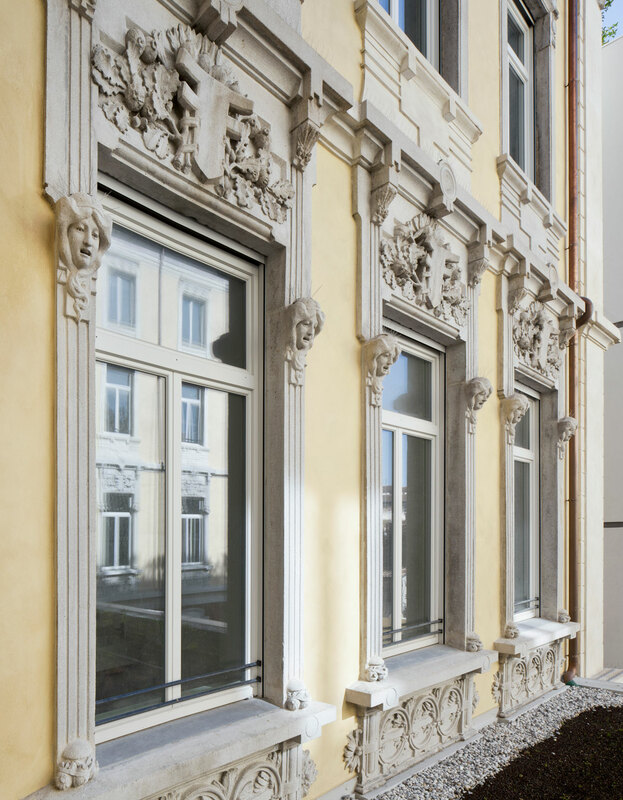 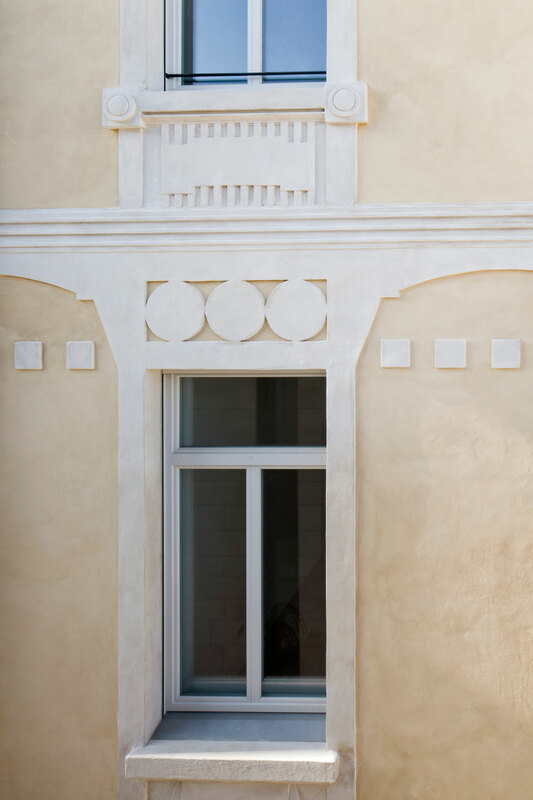 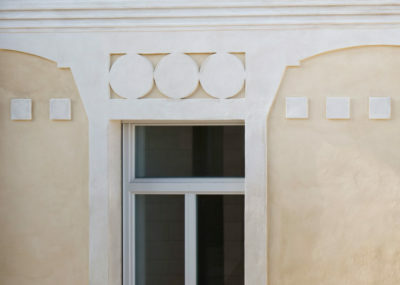 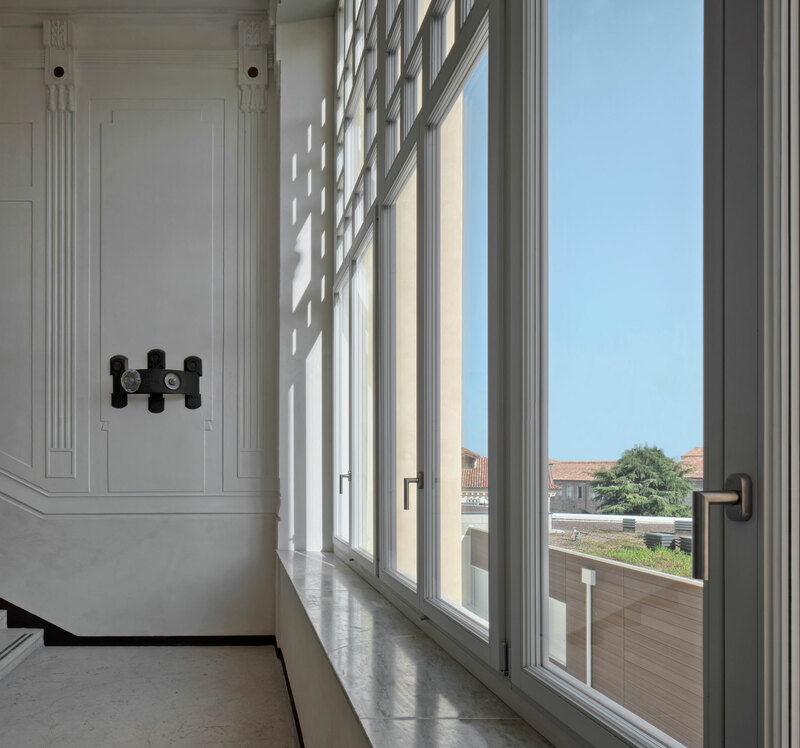 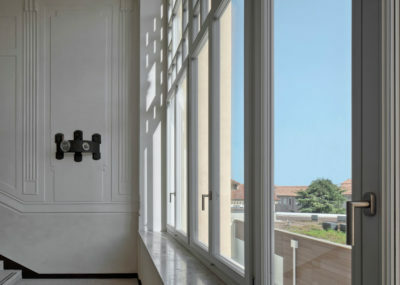 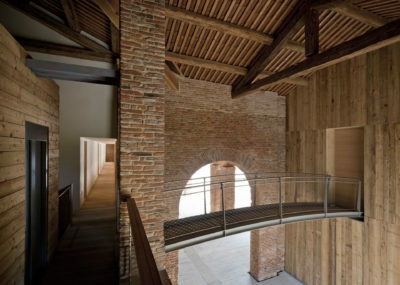 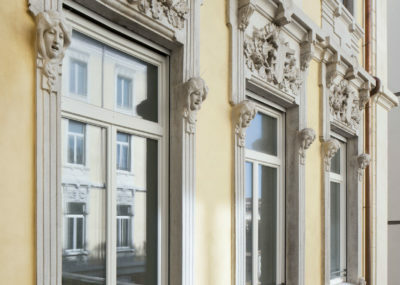 Demanding studies brought Carretta to manufacture a made on purpose window, able to fit the modern isolating requests together with the listed facade details. 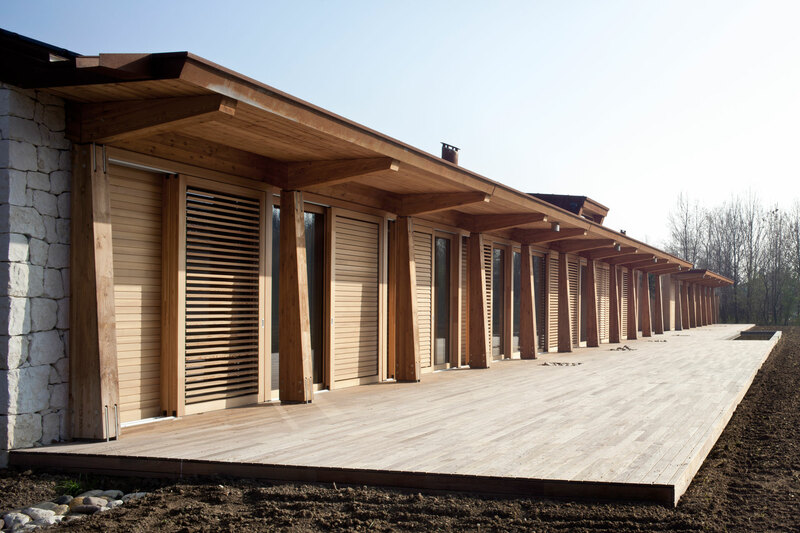 Carretta Serramenti accepted the challenge to produce a 40-meter long sliding facade. 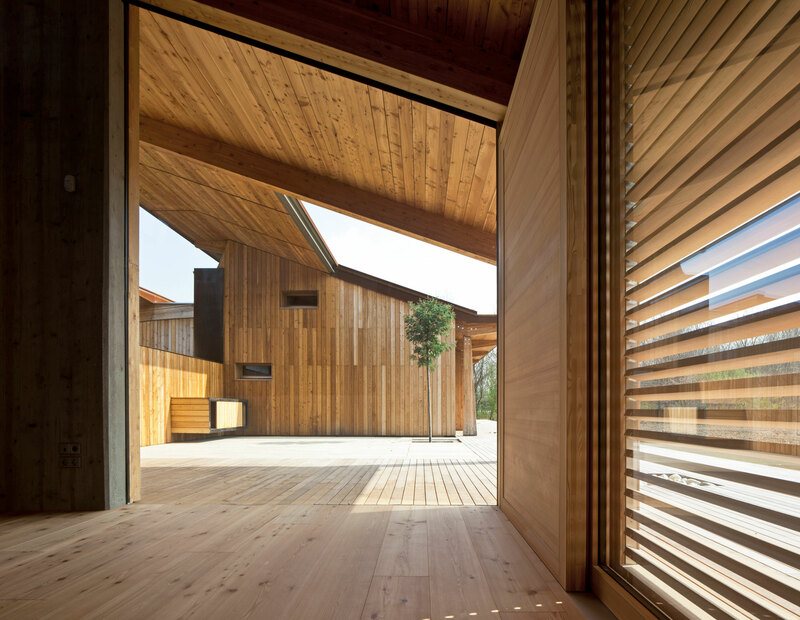 An exclusive program shared by projects managers, owner and designers: a precious synergy of ideas and capabilities with sustainability and energy saving goals. 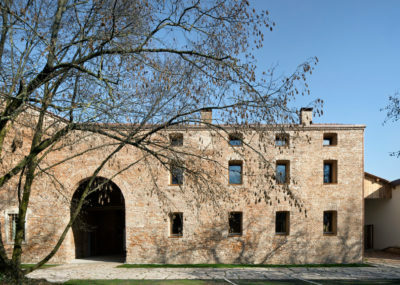 Antonianum Residence is a former university college built on a 14.500 sqm area. 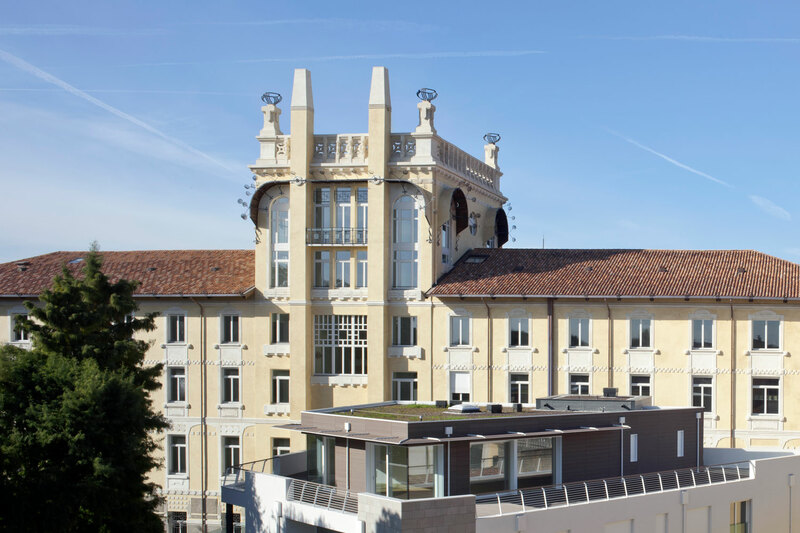 Developed as a multiple building complex, it is located in Padua city centre, facing Prato della Valle plaza and Unesco Heritage Botanic Garden. 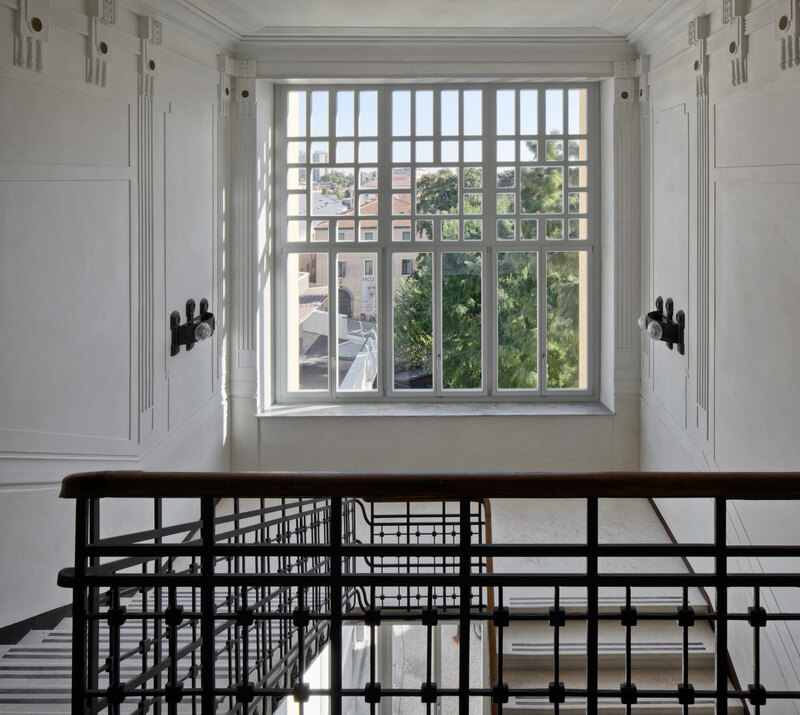 The project area hosts a liberty building dated 1905 and others sides ones erected on much more modern ages. 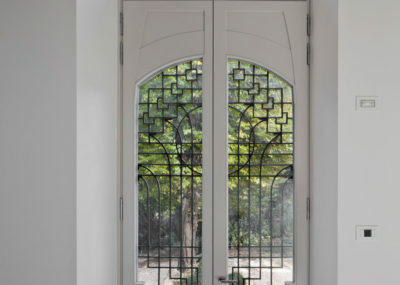 customized windows. 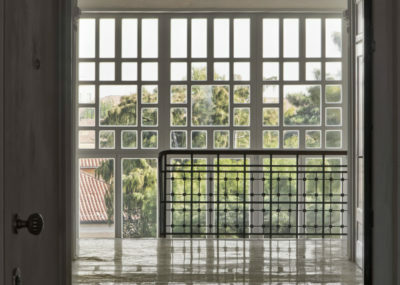 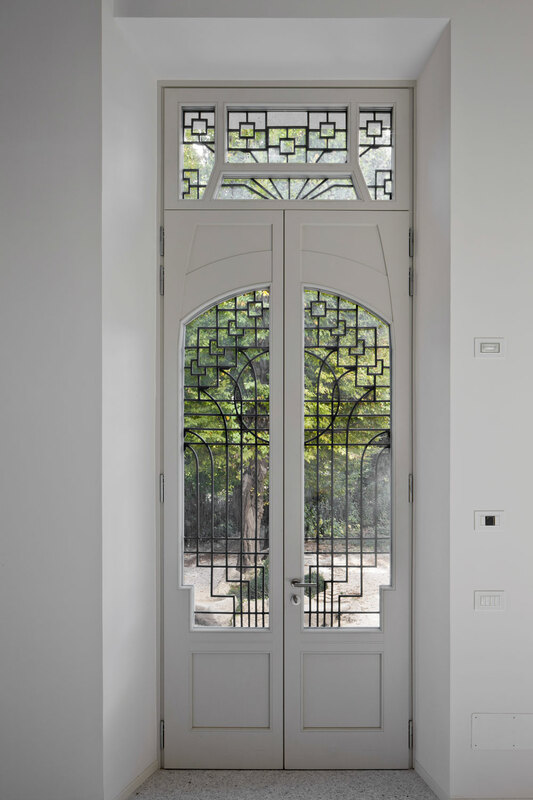 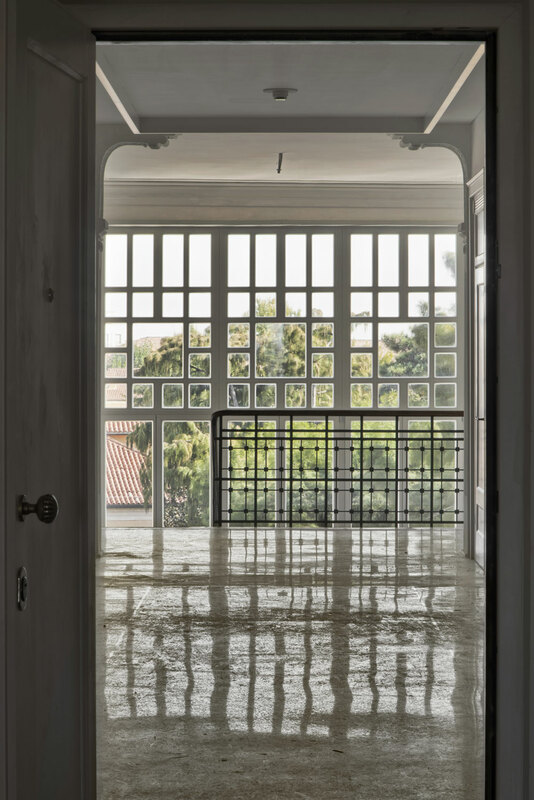 Carretta windows have been tailored to fit the different souls of the estate: wooden windows with curved and phyto morphic drawings on the more ancient liberty style part, wooden aluminium windows for modern facades. 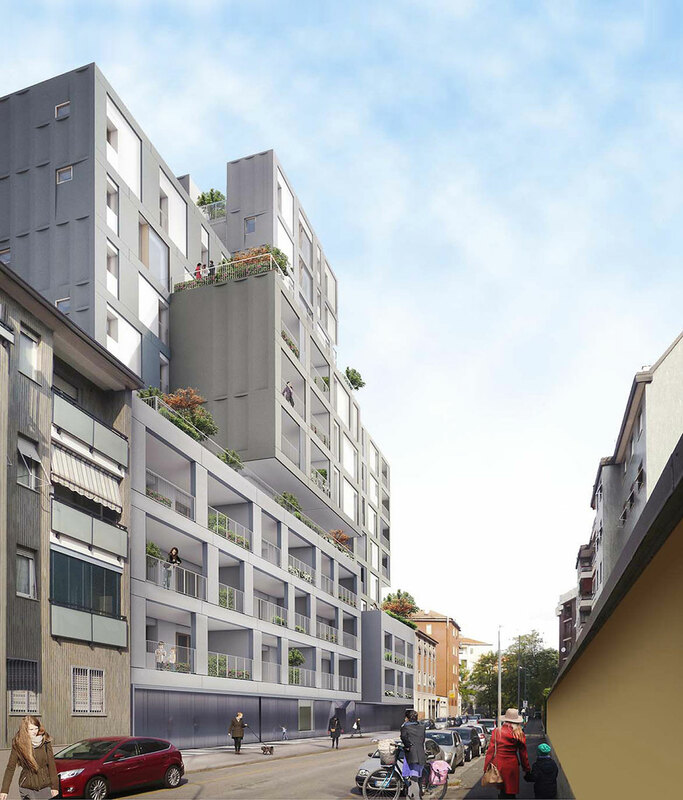 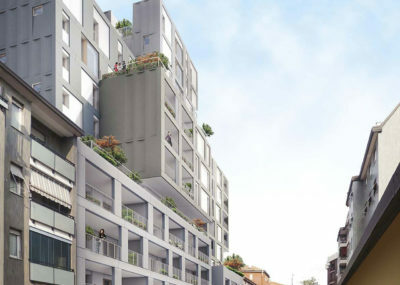 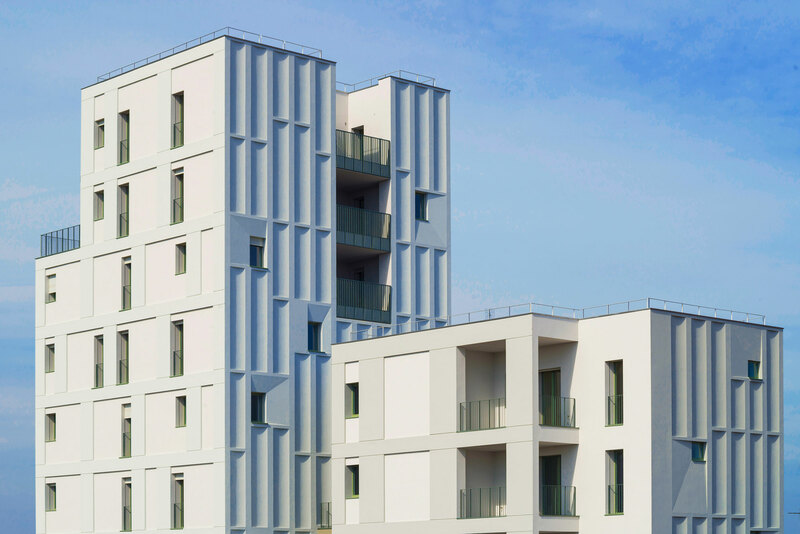 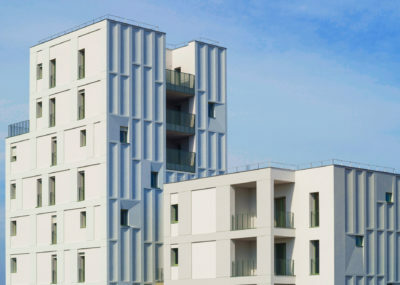 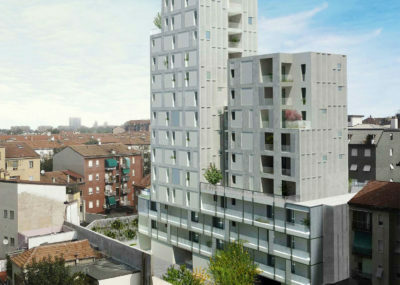 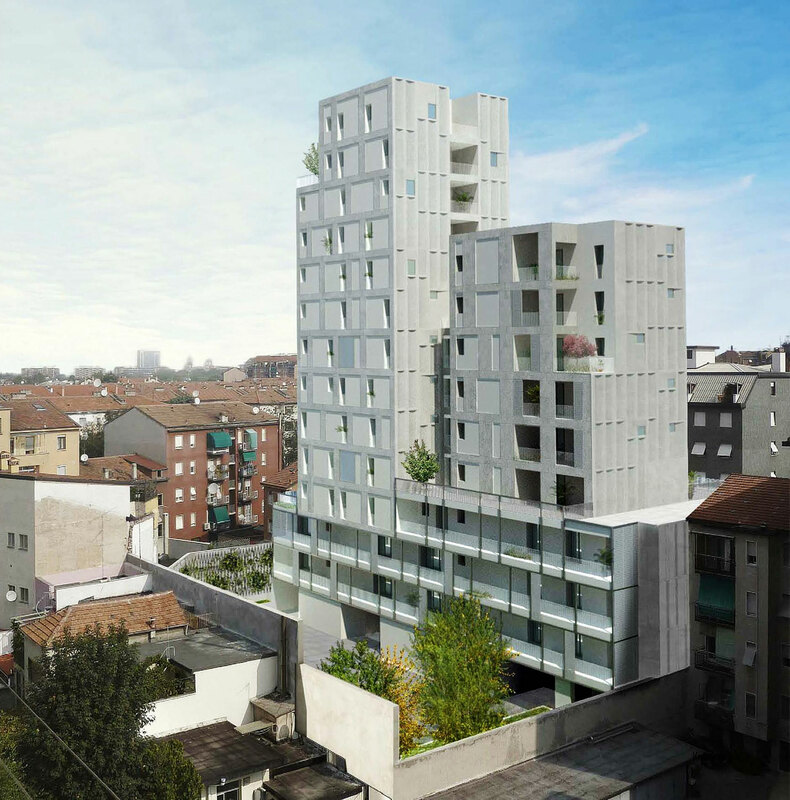 Via Frassinetti, 25 is a 13 floors building raised on a social housing residential lot that needs to be upgraded to fit with the surrounding area. 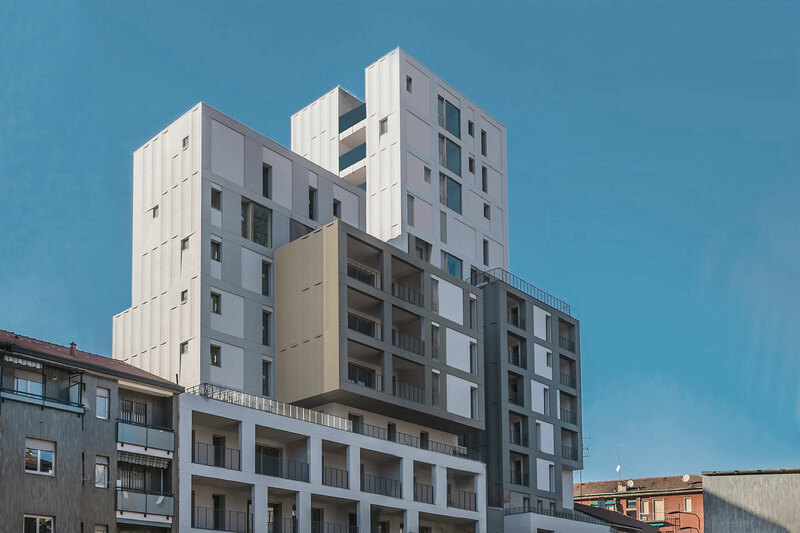 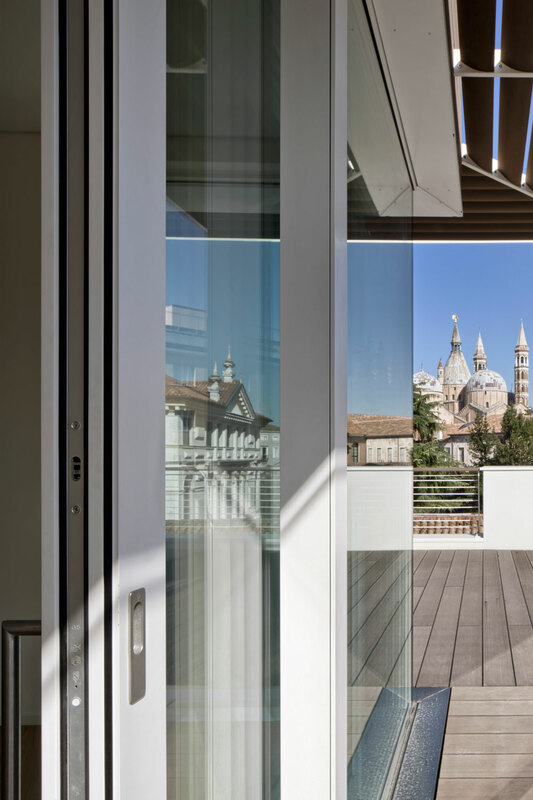 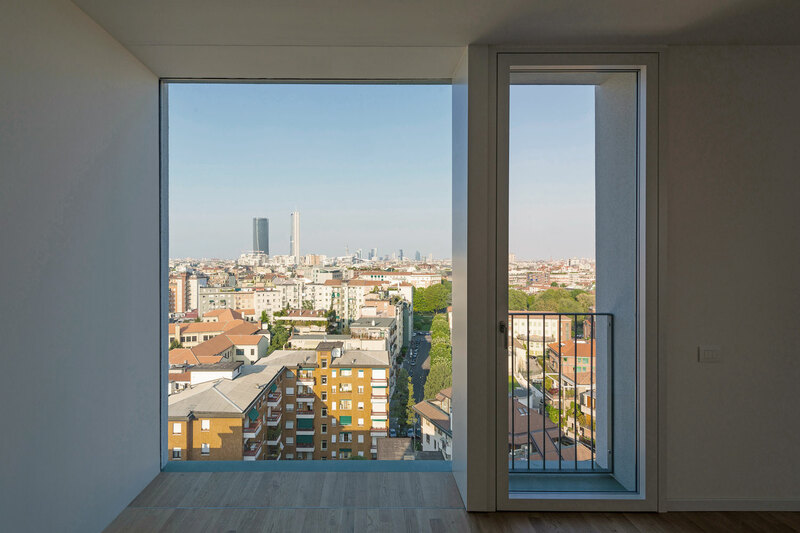 The new modern A class building hosts 44 apartments with a wide range of sqm surface, from the studio to the penthouse, and has been drawn by CZA - Cino Zucchi Architects. 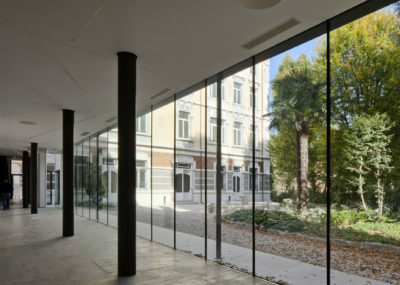 The concept of light and dark, deep and projecting, used by CZA, have been reflected in windows design too. 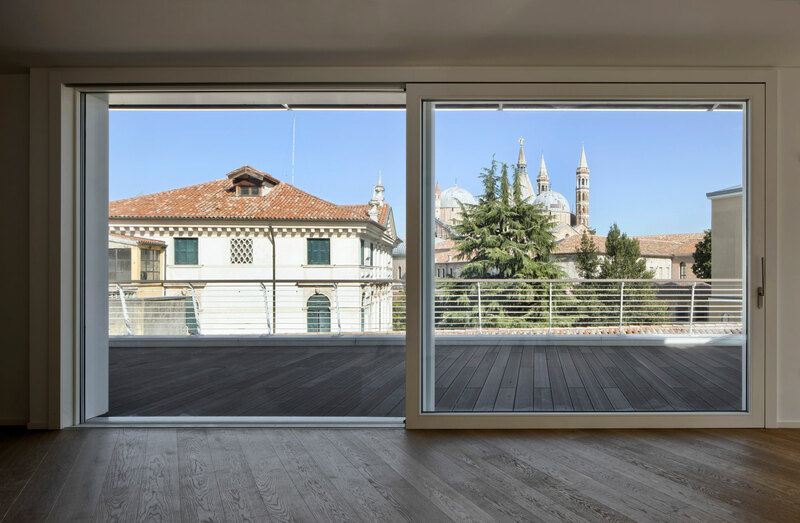 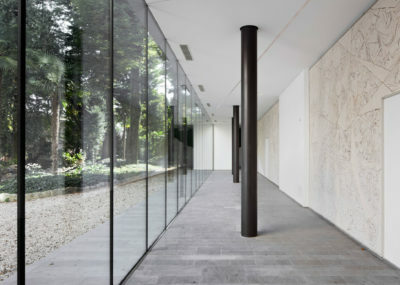 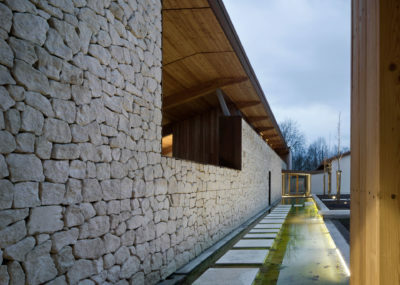 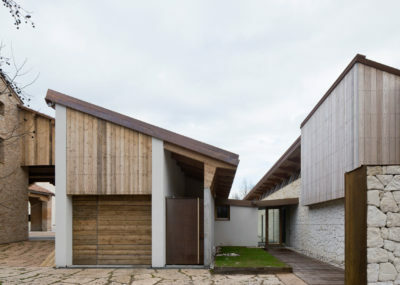 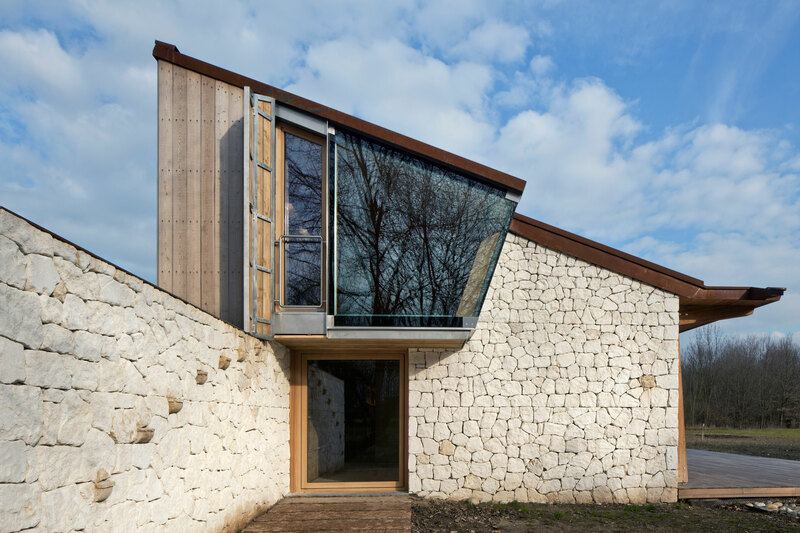 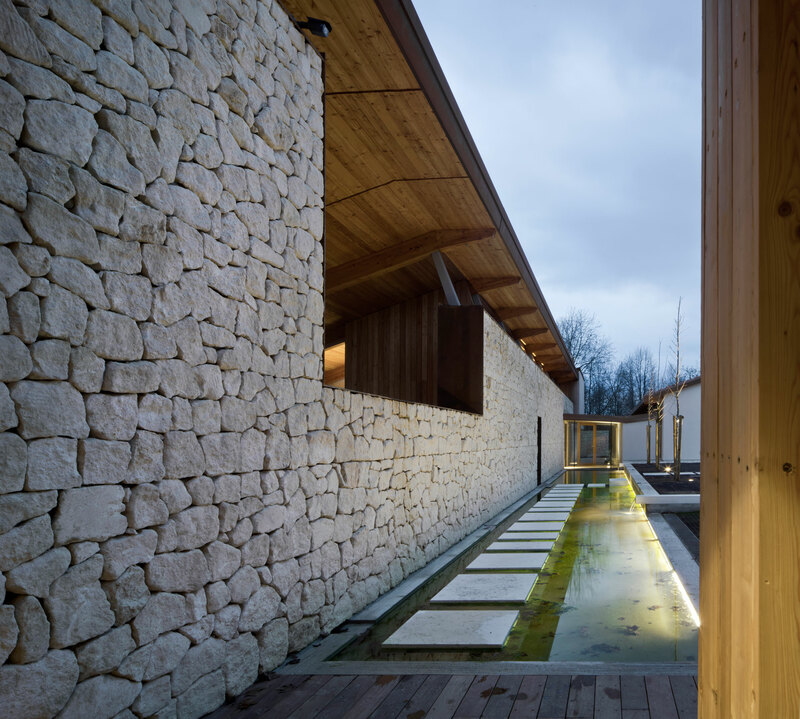 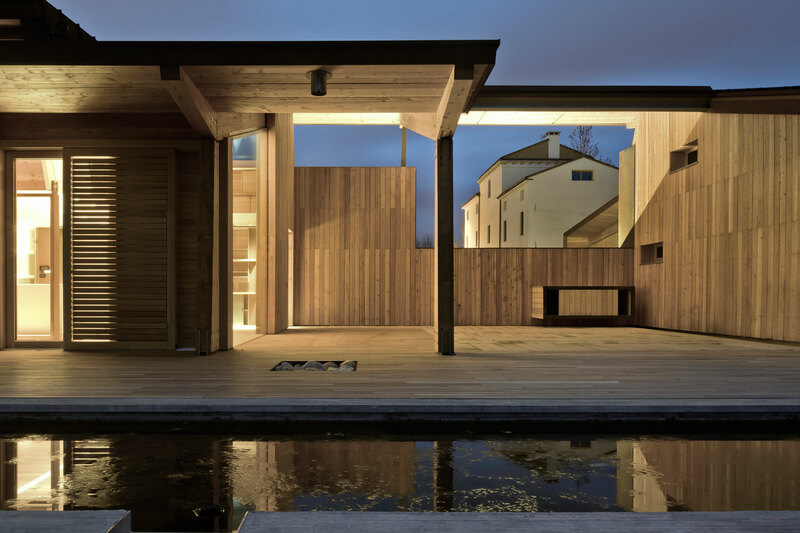 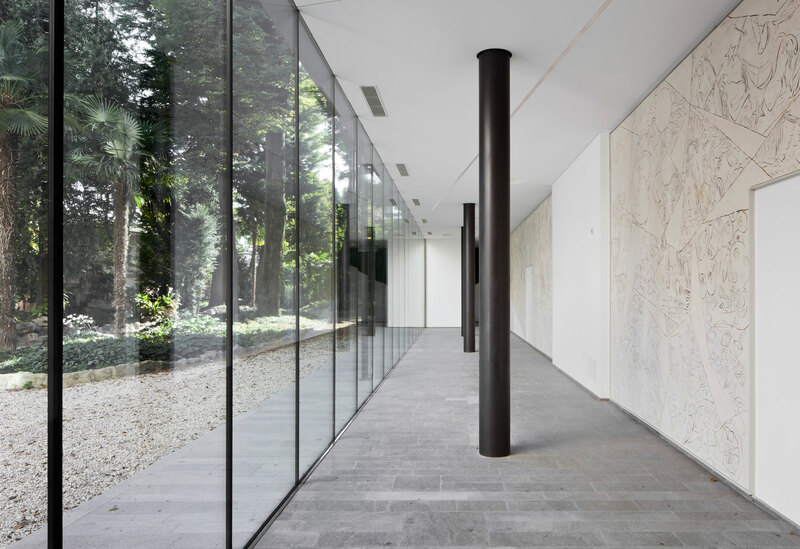 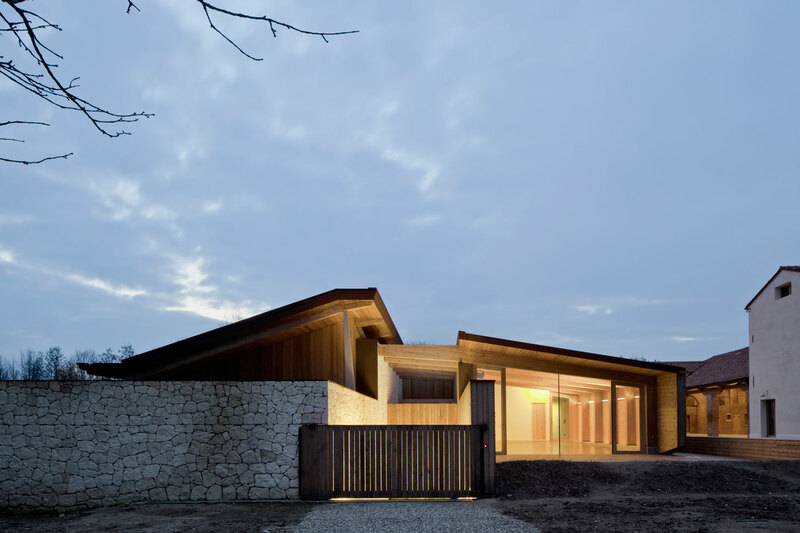 For this building site, we realized wooden-aluminium window, to build structures composed by a glass-door in the rearmost position locked on a big glass surface completely drowned in the masonry. 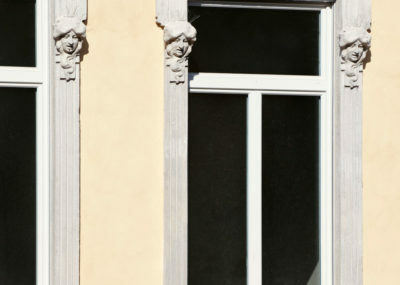 This type of window required a deep research to our technicians, to face the structural issues. 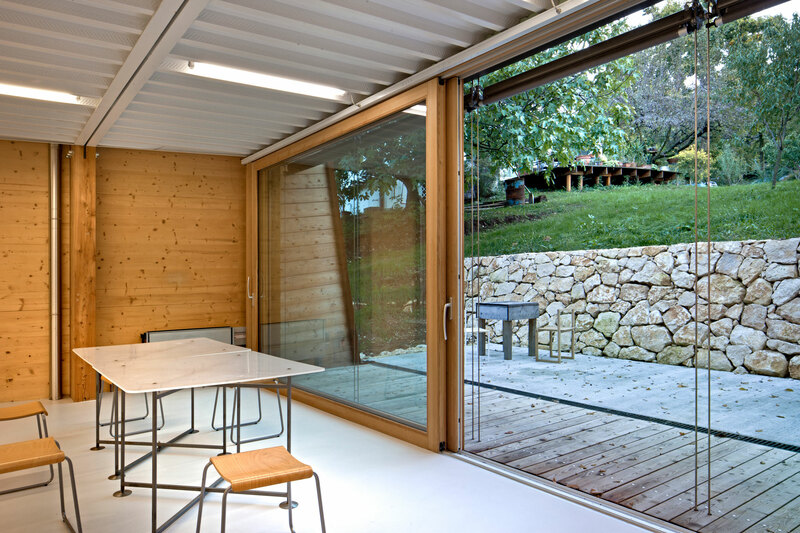 The use of CONTEMPORA 100 model, permits us to obtain high energy performances, corresponding the request of class A building certification. 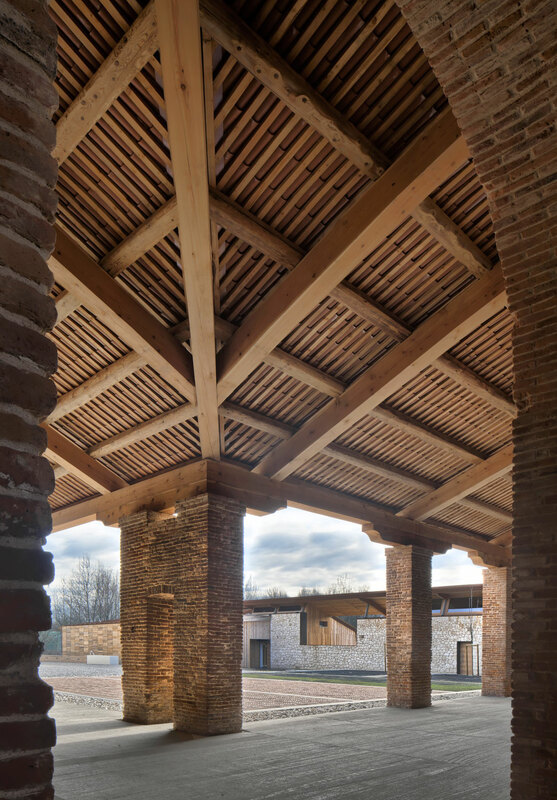 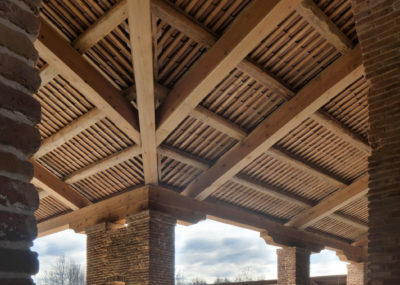 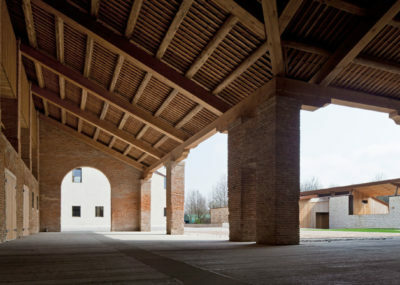 Carretta Serramenti takes part in the new project by Traverso and Vighy. 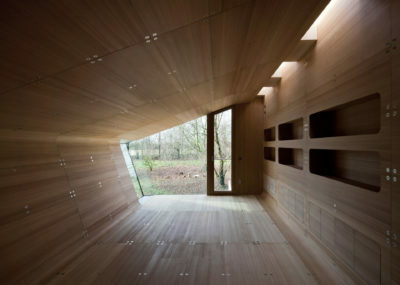 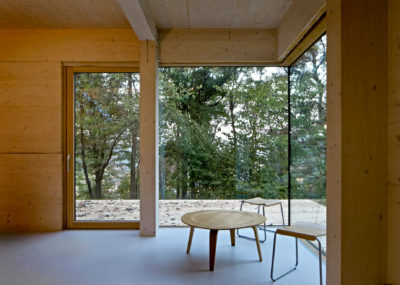 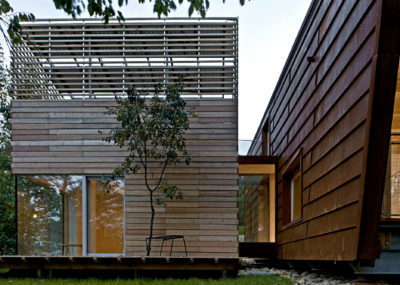 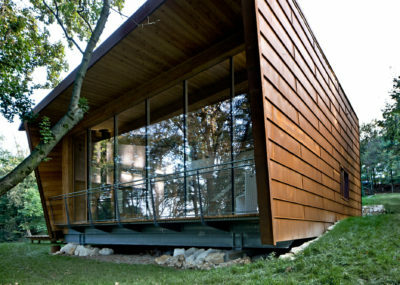 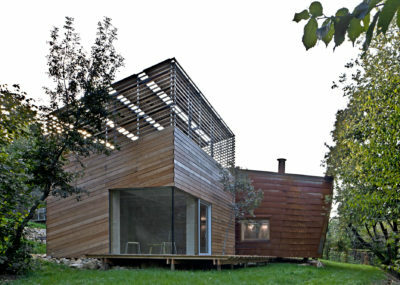 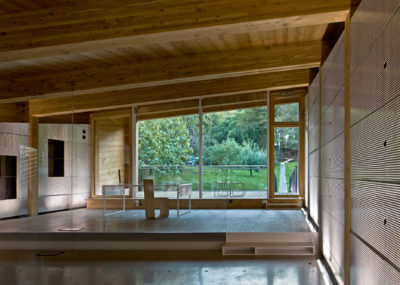 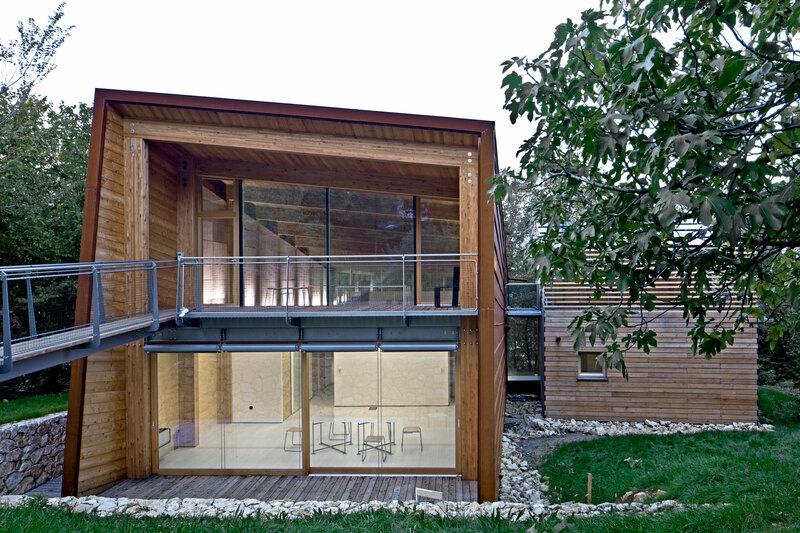 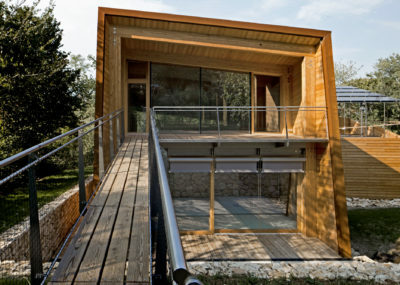 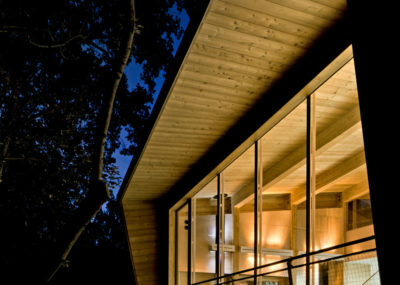 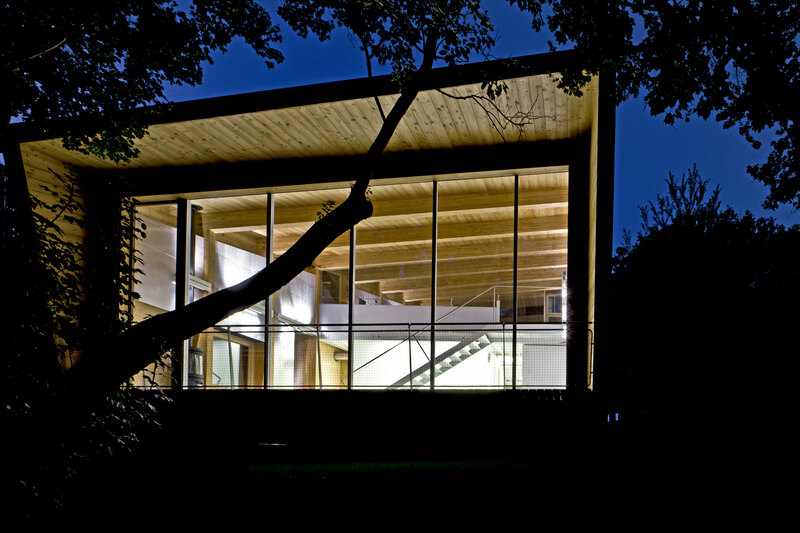 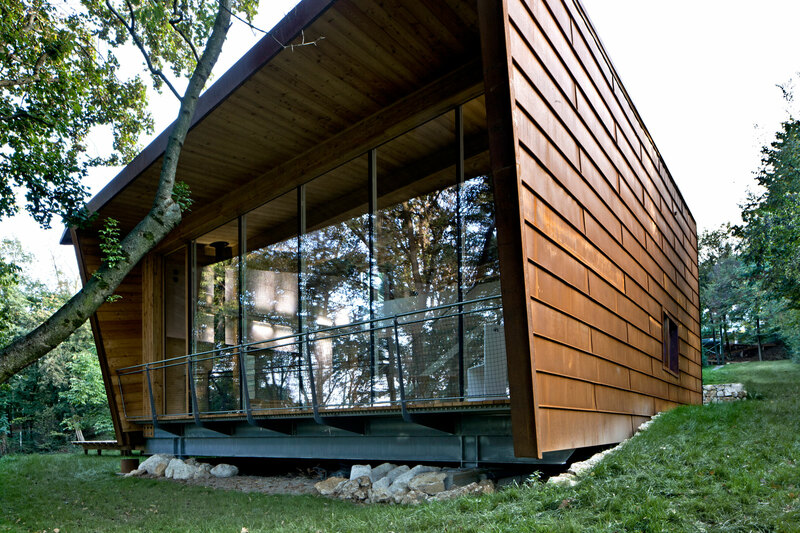 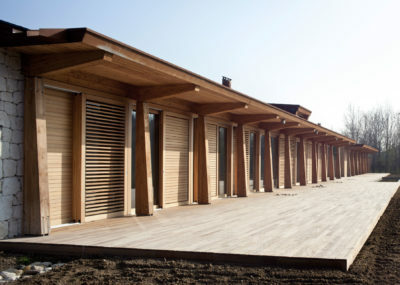 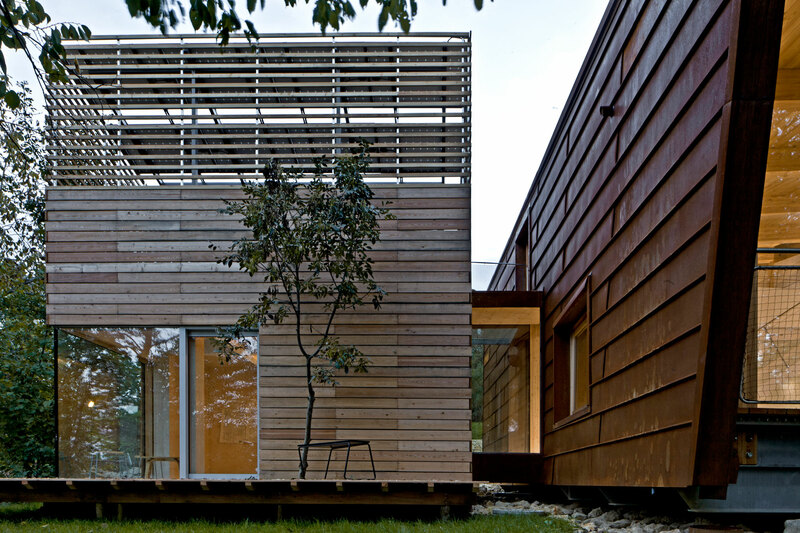 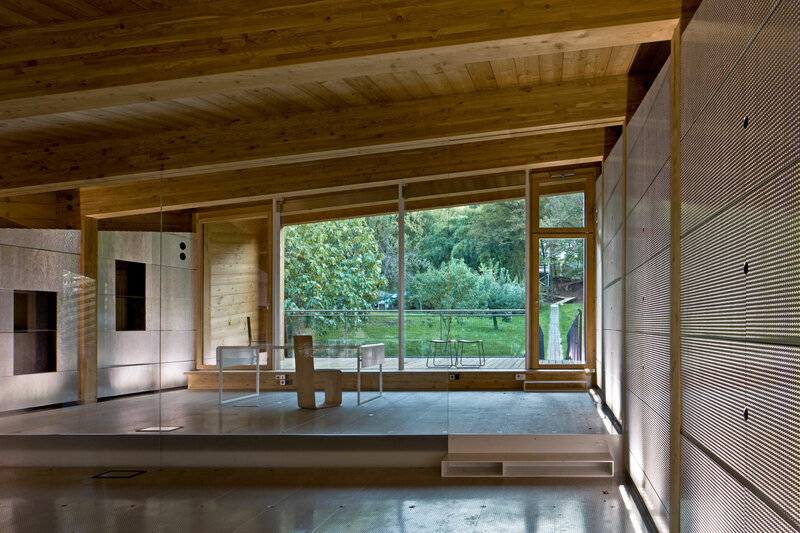 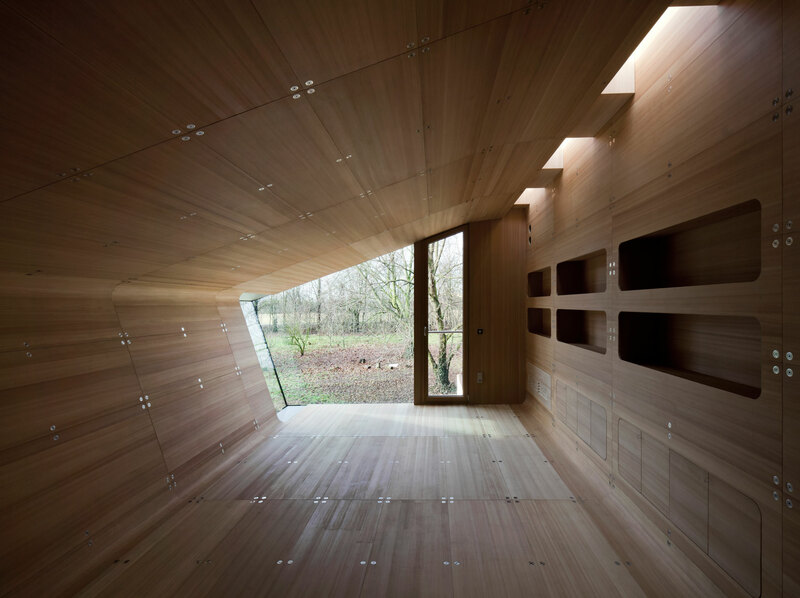 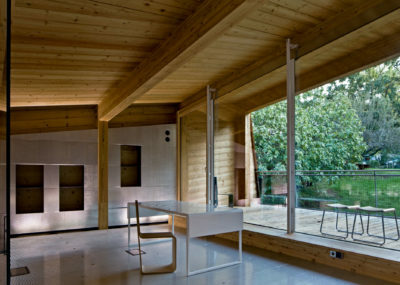 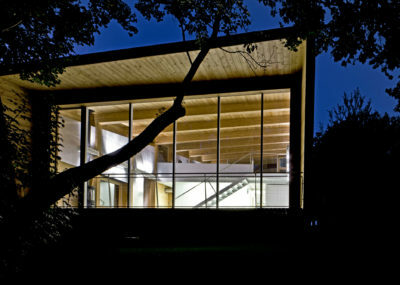 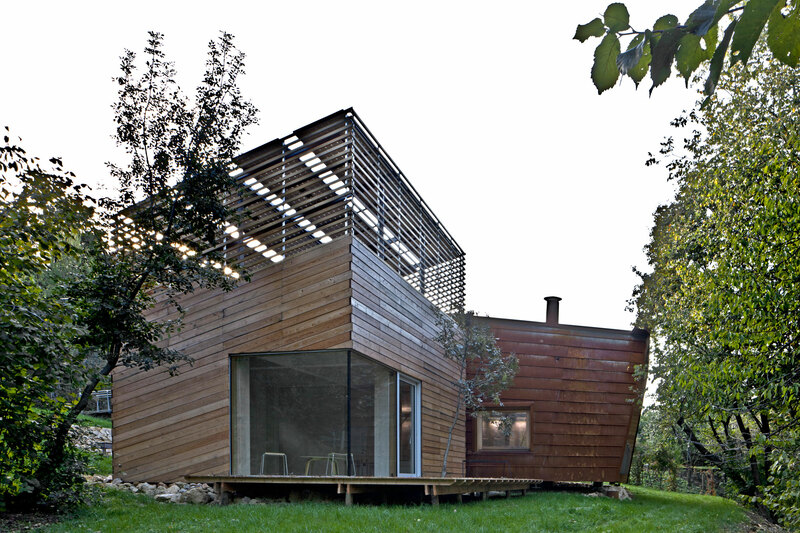 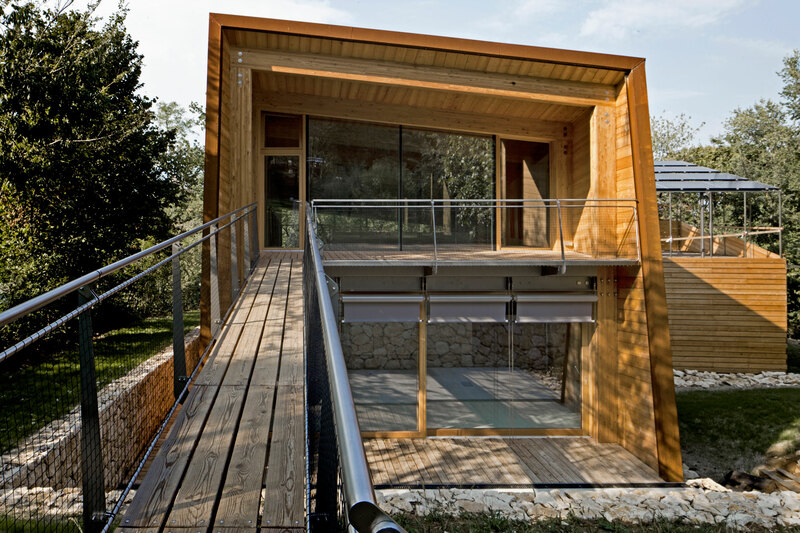 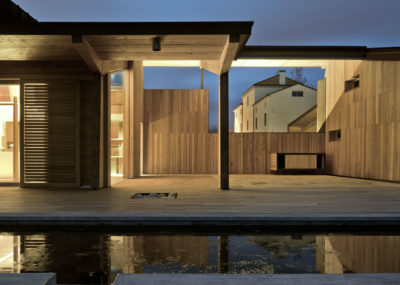 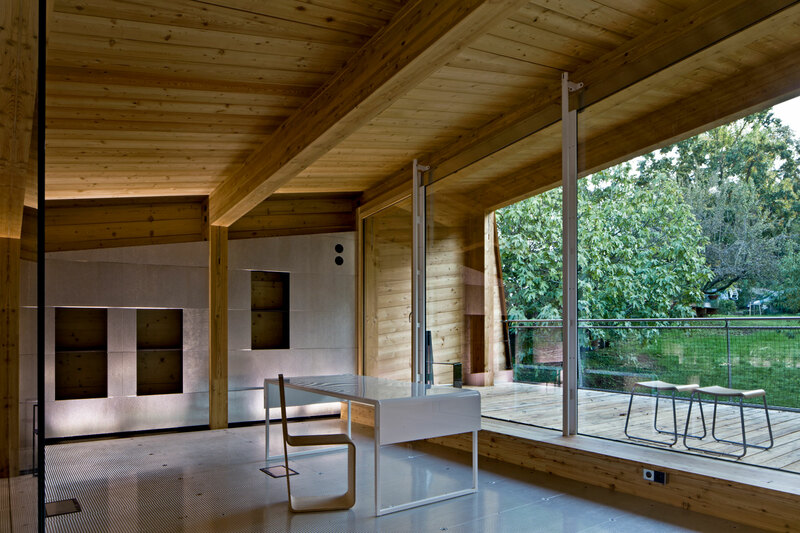 Their new study is a wooden box that produces more energy - and ethics - than it consumes. 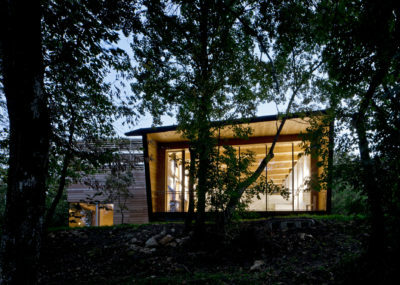 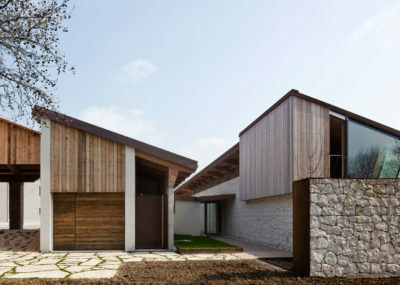 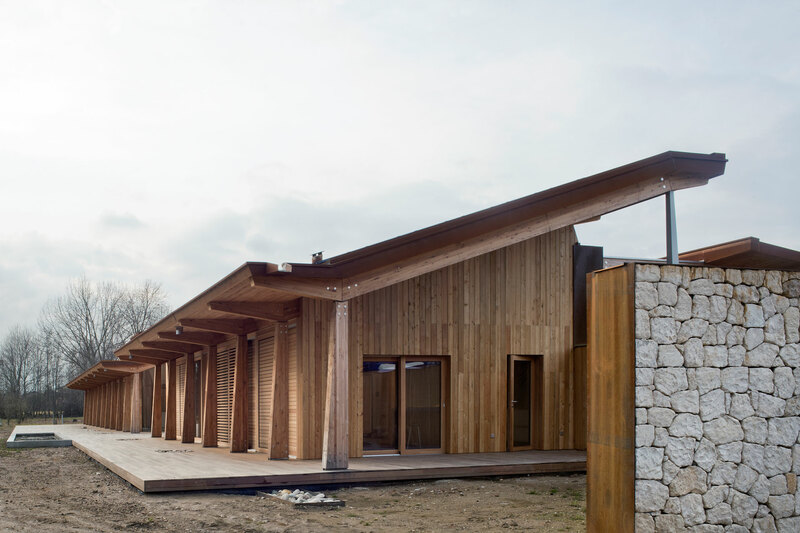 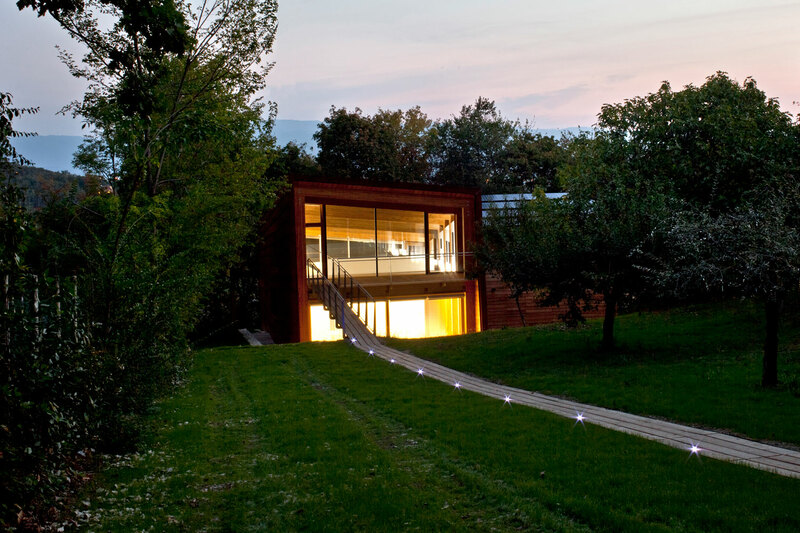 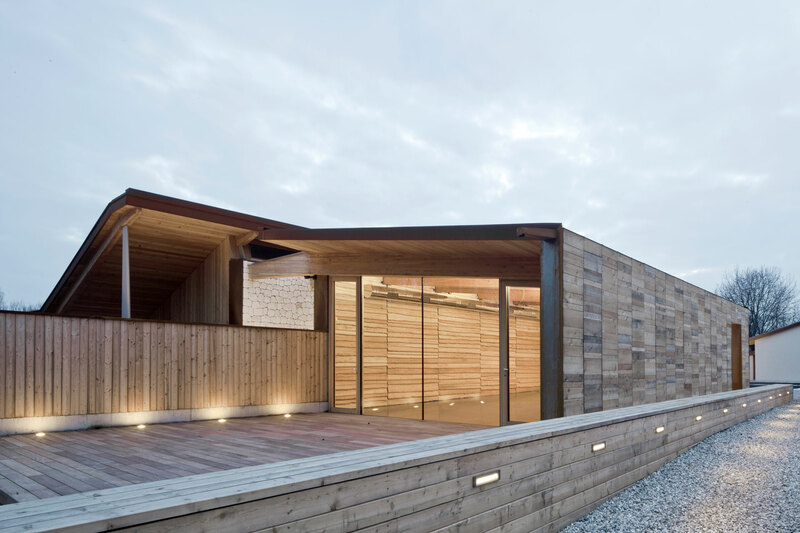 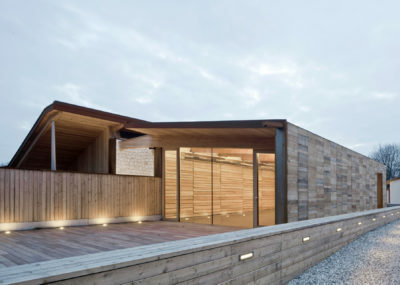 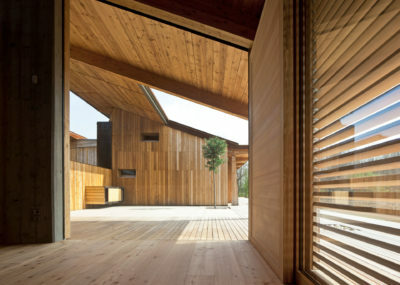 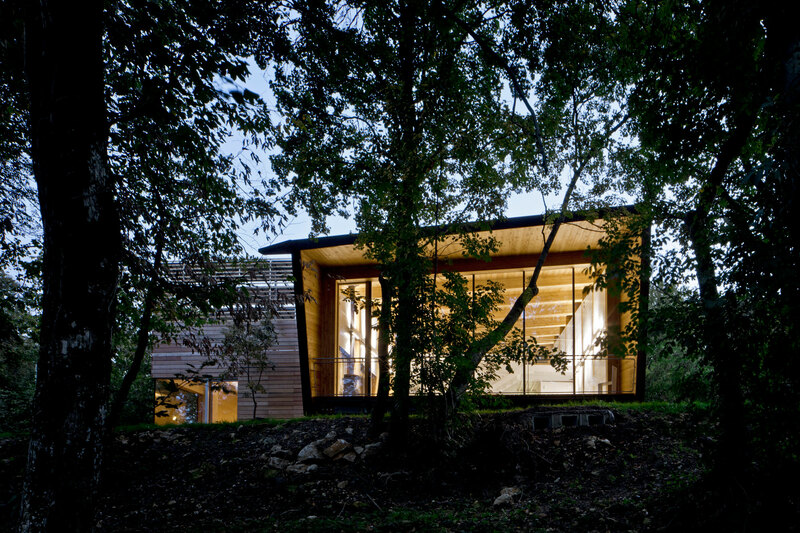 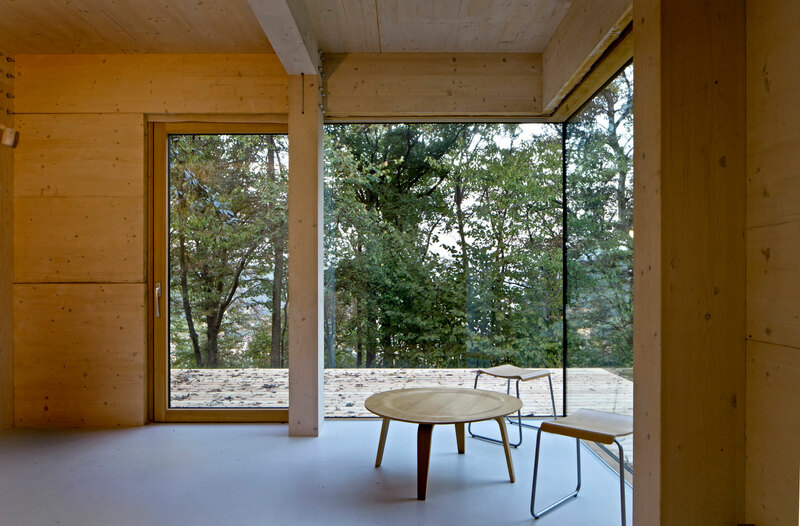 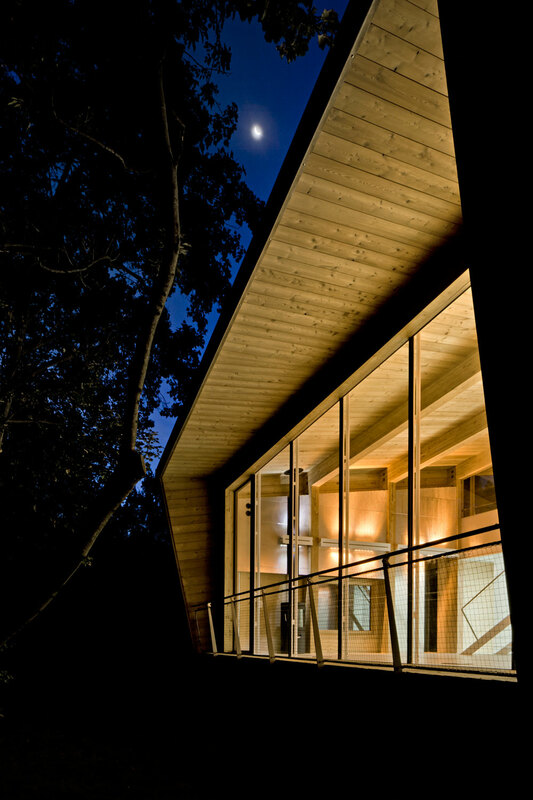 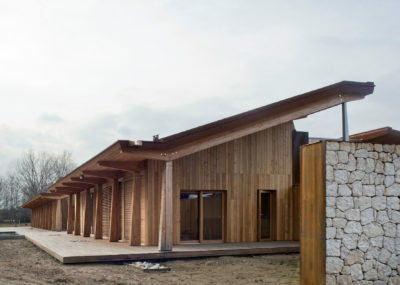 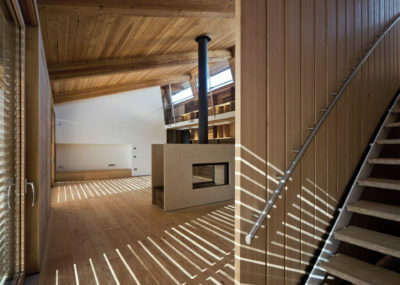 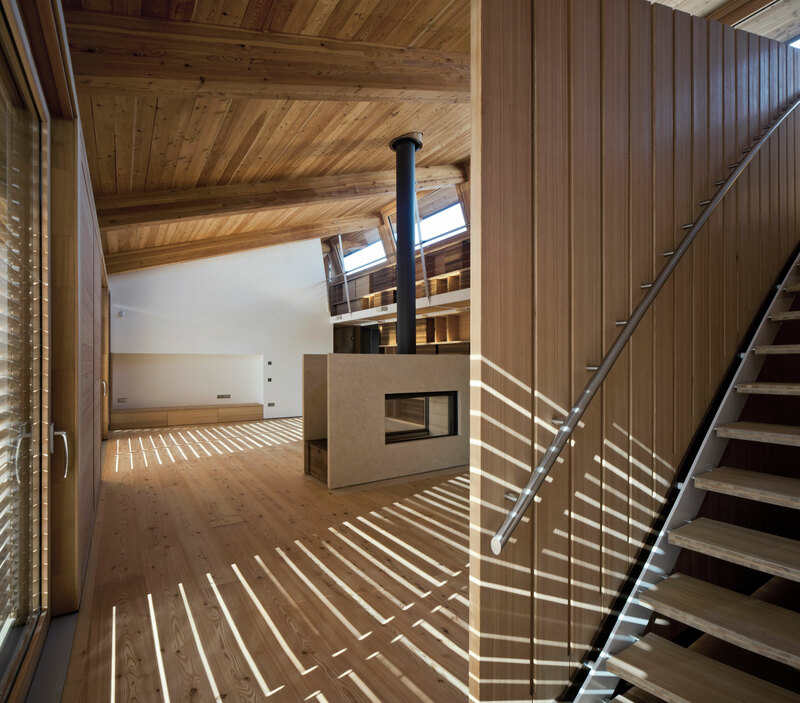 The building is a lightweight construction composed of two elements: a larch glulam structure - enclosed by a weathering steel envelope and raised above the ground on steel beams - flanked by a second timber volume. 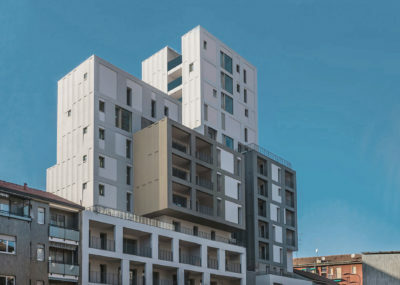 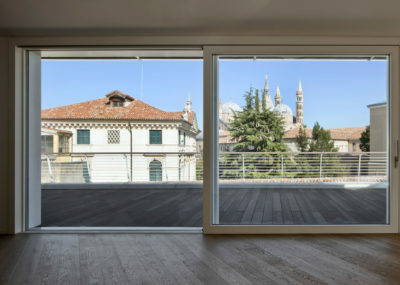 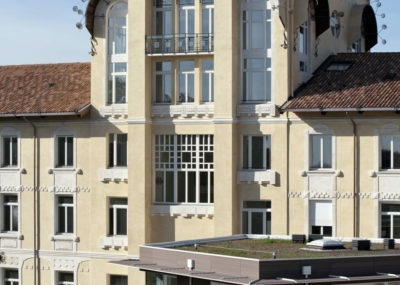 The building, designed in collaboration with the Department of Physics at the University of Padua, will be monitored to track its energy and thermal performance.